The holiday resort with its magnificent panoramic view of Lake Garda is especially popular with hikers! So, if you can't decide whether you prefer to spend your next holiday by the lake or in the mountains, then San Zeno di Montagna is for you. The pretty village resides on the eastern coast of Lake Garda and offers both types of holiday. The village is 560-metres above sea level and is best reached via Albisano. From Albisano, a relatively steep road leads through 5 km of lush green to the north where a gorgeous drive, Via Lumini, narrowly leads you to San Zeno di Montagna. 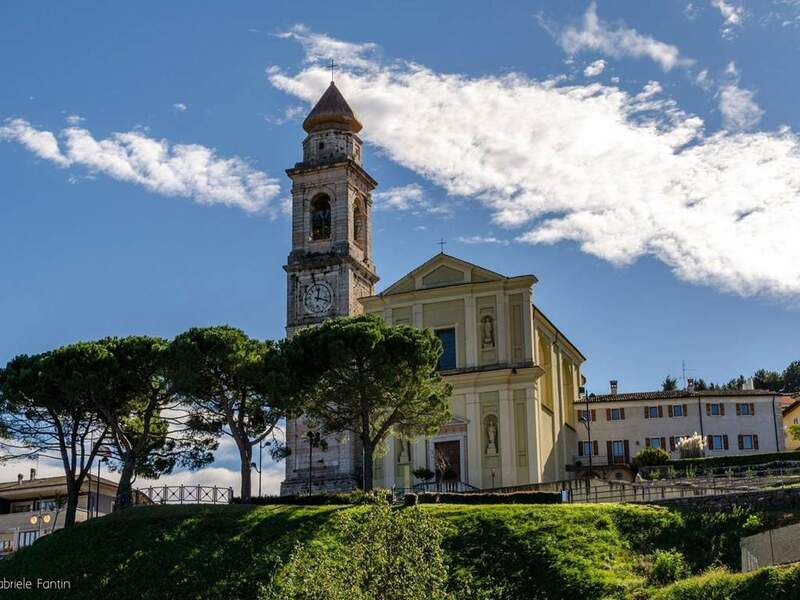 San Zeno di Montagna is a quiet surrounding in lofty heights. 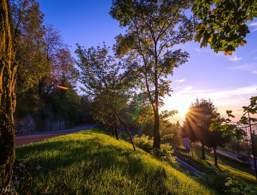 The lofty mountains of San Zeno di Montagna, are an appealing, tranquil setting shared between spa guests and hikers. 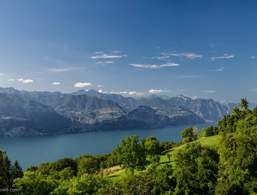 While some enjoy the refreshing and soothing environment of the health resort, others benefit from the ideal starting point for touring Monte Baldo. Families with children, on the other hand, flock in droves to the Jungle Adventure Park with its exciting trails that lead through the wilderness. There is reasonably priced accommodation for everyone. From the campsite to the simple yet cosy hotel. If you want to extend your radius of action further, the nearby Prada Plateau, which is over 1,000 metres above sea level, offers a magnificent view over the south of the lake. On clear days you can see the Po Valley and the Apennines. Prada Plateau also has winter ski slopes and the cable car "Seggiovia Prada-Montebaldo". The small holiday resort at Lake Garda is located at 560 m of altitude. Hikers and gourmets will particularly love the picturesque holiday destination above Lake Garda. 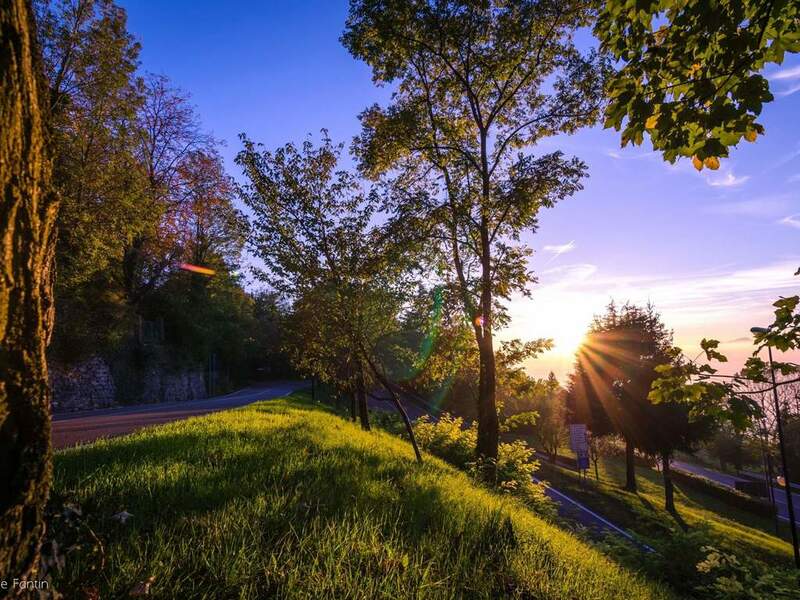 From San Zeno di Montagna, you can enjoy a dreamlike view of Lake Garda. 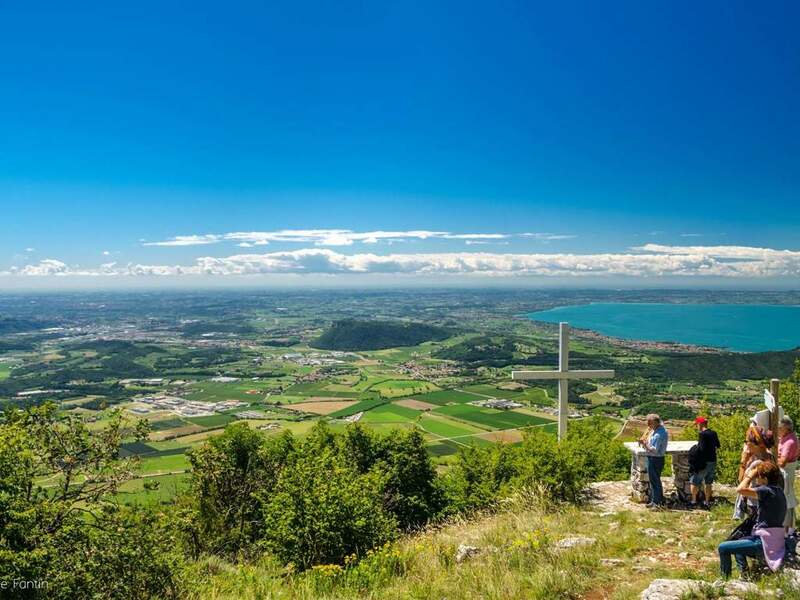 San Zeno di Montagna is a good starting point for hikes on Monte Baldo or on the Prada high plateau. 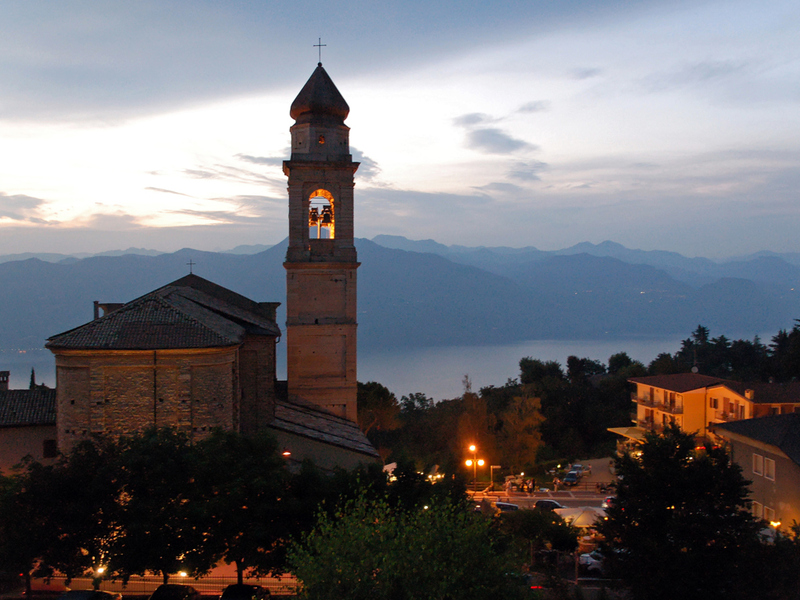 From San Zeno di Montagna, you can enjoy a magnificent view of Lake Garda and the opposite shore. The beautiful building was built in the 14th century but has only recently been renovated. The courtyard is used as a venue for summer theatre performances and concerts. The gondola is a convenient way to get to the well-known Rifugio Fiori del Baldo, located at 1,850 metres above sea level on the top of Monte Baldo. The uphill ride in the open standing baskets for two people or adjoining single armchairs is definitely for the adventurous. Once at the top, the view opens up to a unique view of the fantastic natural landscape. For those who are not averse to hiking, some paths lead to Rifugio Giovanni Chierego (1,900 metres) and Punta Telegrafo (2,200 metres), with the latter reserved for trained mountain climbers. The accommodations at San Zeno di Montagna were rated 4 out of 5 stars by 4 users.